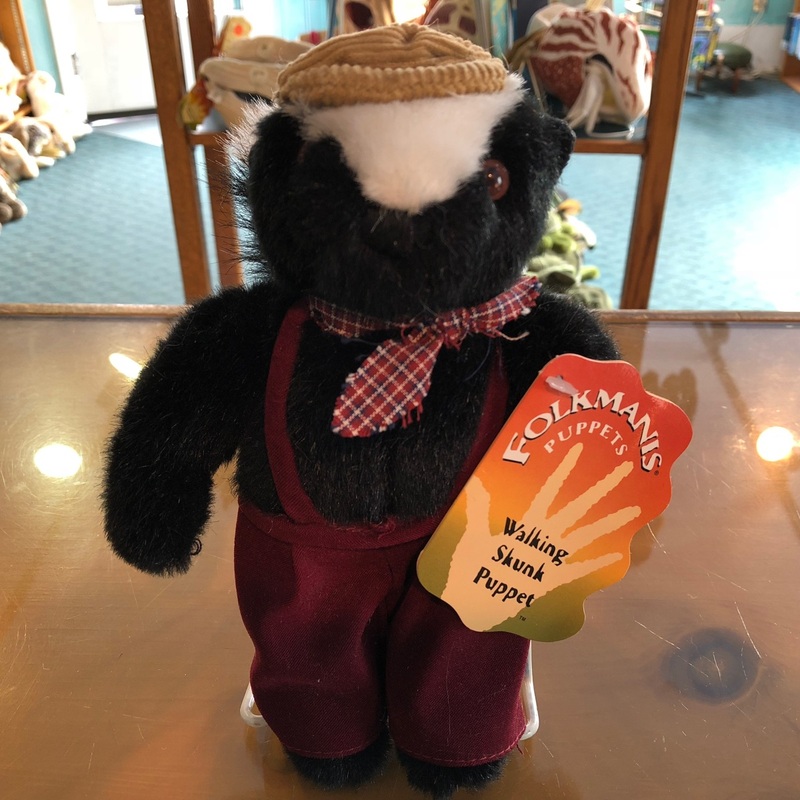 The Folkmanis walking skunk finger puppet is 8 inches tall. You can move his two legs by putting your fingers in them into the pants from the back side. The arms can not be manipulated. 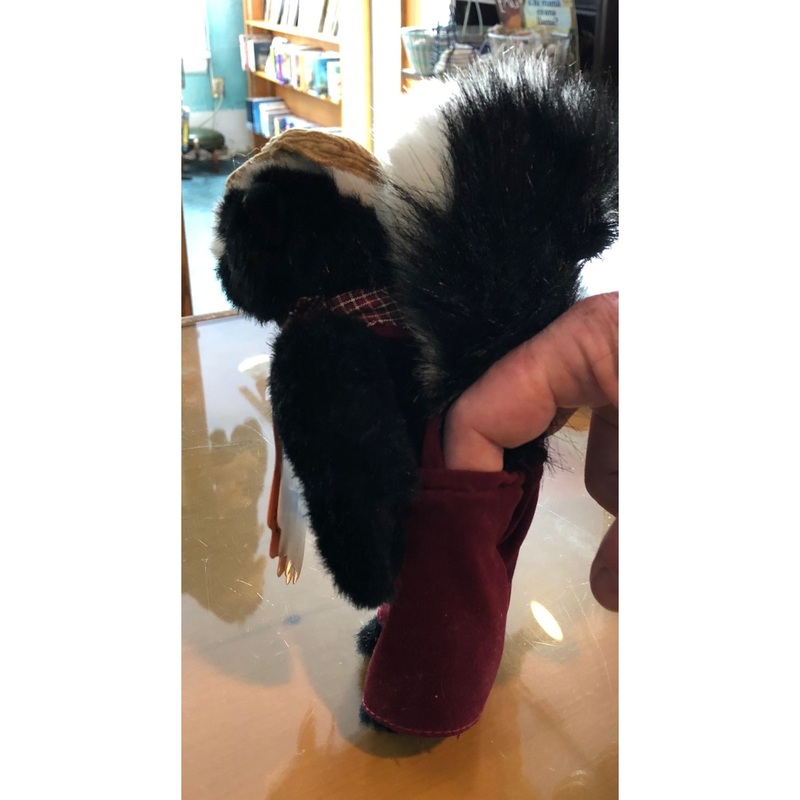 The skunk has a checkered kerchief and maroon pants with suspenders. 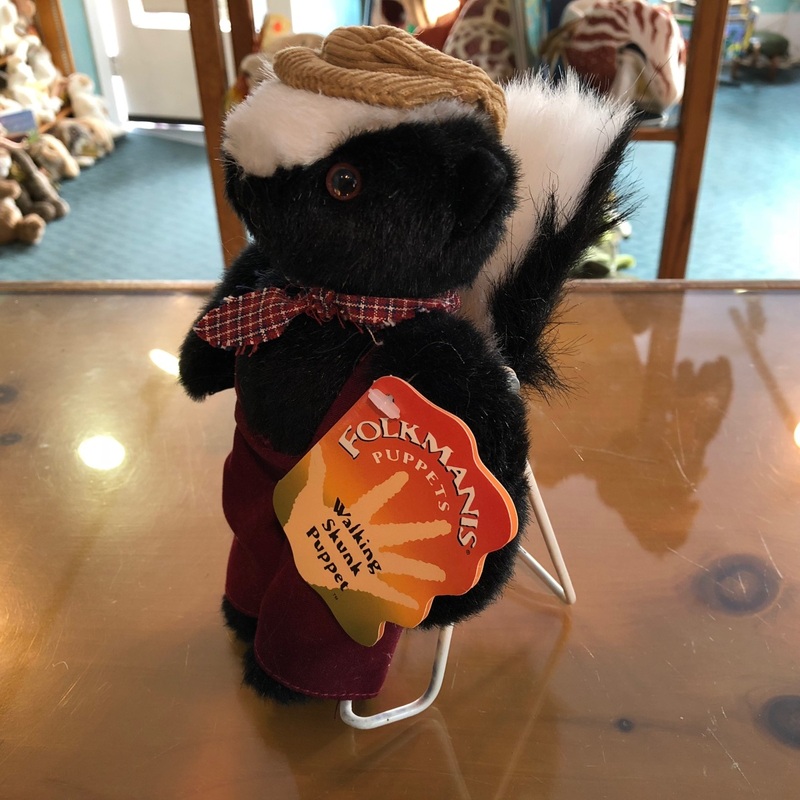 He is black with a white forehead, white and black tail and a has a tan corduroy cap. This finger puppet was discontinued in December 2002.